The Threshold Singers of North San Diego County honor the ancient tradition of singing for people at the thresholds of life. We began bringing comfort through quiet song in 2007. 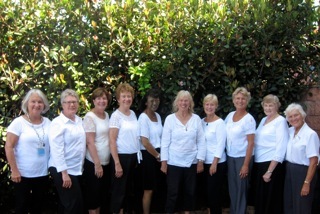 We sing for patients of Hospice of the North Coast and Elizabeth Hospice, as well as responding to requests from family and friends of clients in Oceanside, Carlsbad, Encinitas, Escondido, Vista, and San Marcos, California. When we are invited to a bedside, we visit in small groups. We invite families and caregivers to join us in song or to participate by listening. We choose songs to respond to musical taste, spiritual direction, and physical capacity. This service is our gift; there is no charge. 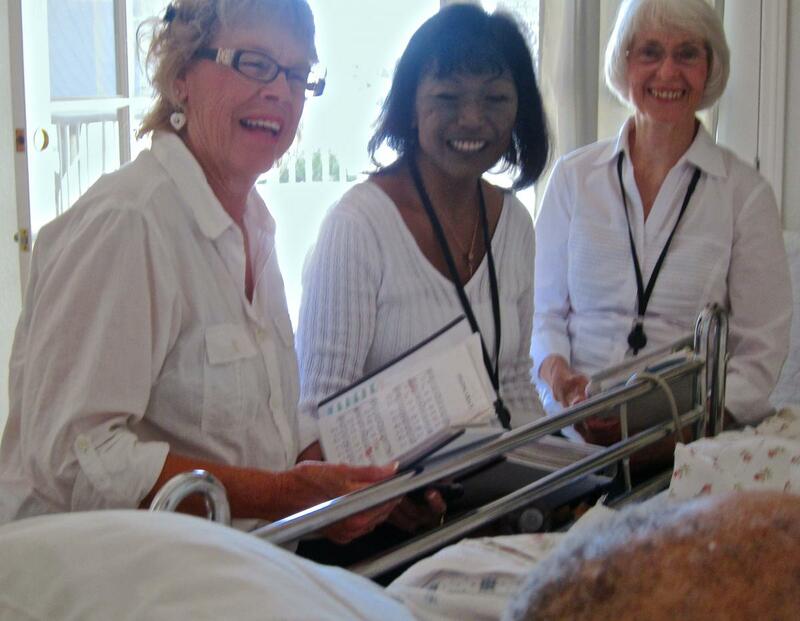 We rehearse on two Saturday mornings a month at Hospice of the North Coast in Carlsbad. New singers are welcome! 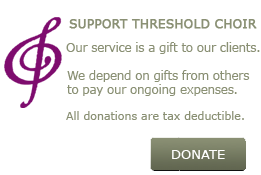 If you would like to request singers or visit a rehearsal, please email us or call (760) 622-9554.